Josie Maran is an American cosmetic company that sells healthy and high quality make up. The products were carefully made to take care of your skin while being able to look glamorous. The company has thought of all kinds of skin treatments that won't be damaging. With Big Apple Buddy’s personal shopping service, you can now buy direct from the Josie Maran online store anytime, anywhere. 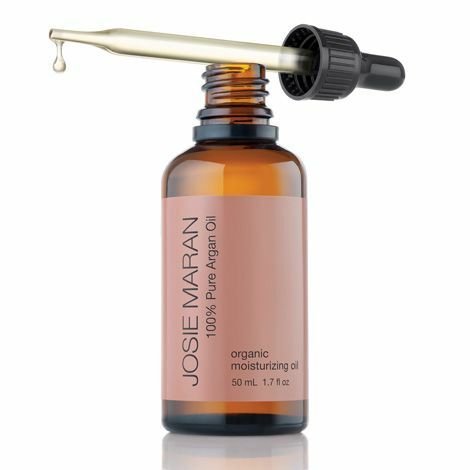 Experience the magic of Josie Maran products with the 100% Pure Argan Oil Light Luxury Size! This special oil is the ideal nutrition to take care of your skin. With no filters, fragrances, or preservatives, the Argan Oil is as healthy as you can get. It's the liquid gold you've been waiting for! And the oil is not just for your skin - with the luxury size you have more than enough to also put it on your hair. The Josie Maran products have an endless catalogue for skin products! 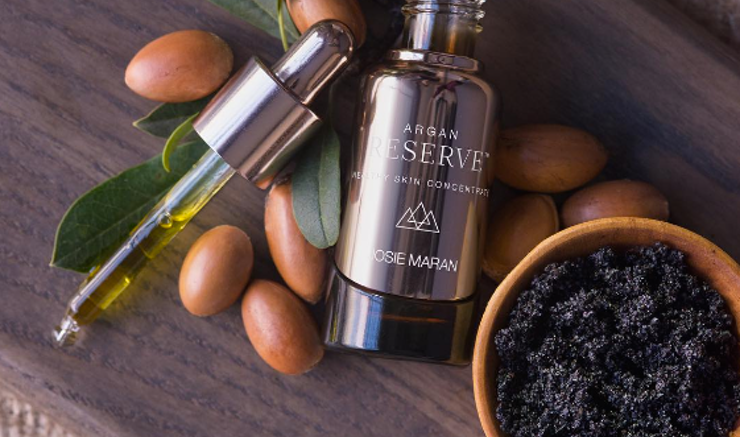 The Argan Reserve Healthy Skin Concentrate is the real deal. You'll notice pores being reduced significantly and feel more confident. This limited edition treatment is one of Josie Maran's most popular products. There's multiple ways of using it - put it on alone, with Argan Oil, or on top of moisturizer for the best results. They say the eyes are the windows to the soul and Josie Maran is here to make them feel better! Experience the Argan Milk Devotion Intensive Hydrating Eye Serum nourishing power and see results instantly. It plumps and protects the skin around your eyes to make you feel and look younger. By just putting it on in the morning and the night, you won't have it any easier than this thanks to the serum! Unfortunately, the USA Josie Maran online store does not currently offer international shipping. However, Big Apple Buddy, your personal shopper, can help you buy products direct from the official USA Josie Maran online store and ship them to your doorstep, no matter where you are in the world. We offer international shipping to over 110 countries including Australia, Austria, Azerbaijan, Bahrain, Belgium, British Virgin Islands, Brunei, Bulgaria, Canada, Chile, Costa Rica, Croatia, Czech Republic, Denmark, Estonia, Fiji, Finland, France, French Polynesia, Germany, Gibraltar, Greece, Greenland, Hong Kong, Hungary, Iceland, Indonesia, Ireland, Israel, Italy, Japan, Jordan, Kuwait, Latvia, Liechtenstein, Lithuania, Luxembourg, Macau, Malaysia, Maldives, Malta, Marshall Islands, Mauritius, Monaco, the Netherlands, Netherland Antilles, New Zealand, Norway, Oman, Poland, Qatar, Romania, San Marino, Saudi Arabia, Serbia and Montenegro, Seychelles, Singapore, Slovak Republic, Slovenia, Spain, South Africa, St. Lucia, Sweden, Switzerland, Taiwan, Thailand, the UAE, the UK, Vatican City, and Vietnam. If you would like to buy from the USA Josie Maran online store, simply let us know which items you would like to order (by filling out the form below) and we’ll get back to you with a free international shipping quote within 24 hours!